Supporting scholarships gives students the financial freedom to start college on the right foot. To solve the problems they are curious about and improve our world in ways we can only imagine. 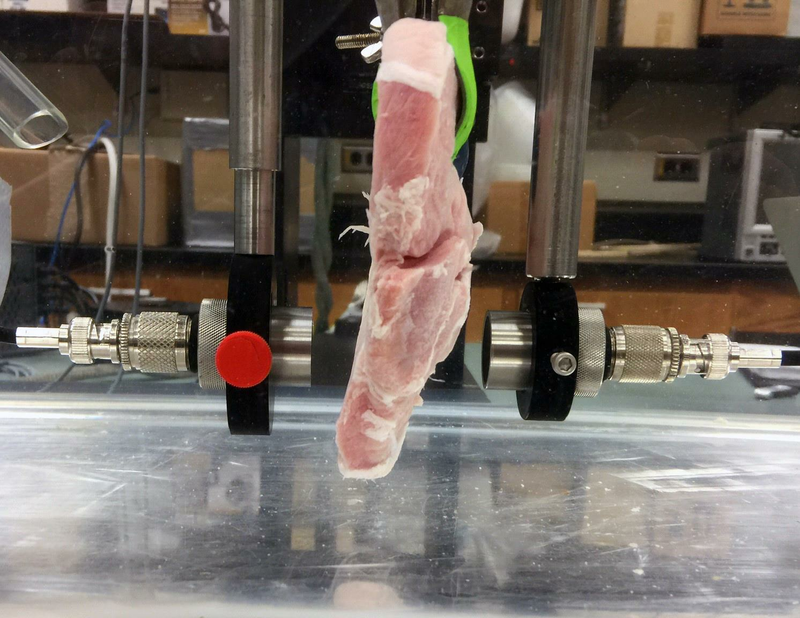 Using animal tissue samples (store-bought pork loin and beef liver), researchers from the University of Illinois at Urbana-Champaign have demonstrated the possibility of real-time video-rate data transmission through tissue for in-body ultrasonic communications with implanted medical devices. 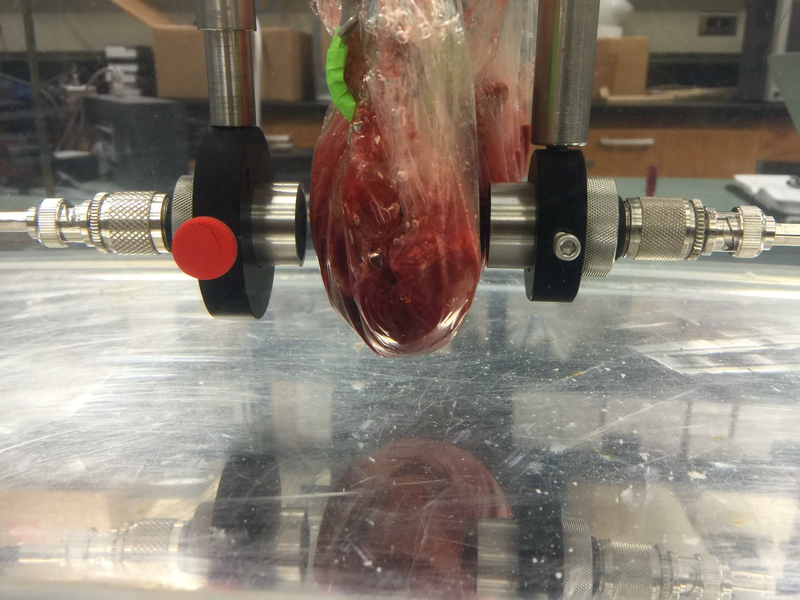 Using samples of store-bought meat, researchers demonstrated how real-time HD video could be transmitted through tissue for in-body ultrasonic communications with implanted medical devices. In this study--reported in a paper, "Mbps Experimental Acoustic Through-Tissue Communications: MEAT-COMMS” posted on arXiv.org--the researchers demonstrated that improved signal processing techniques can provide high data rates (>30Mbps) with low error rates through tissues at frequencies that would allow propagation through the body (<10 MHz). To date, cardiac patients represent the largest segment of patients making use of wireless telemetry from implanted medical devices. However the number and types of applications are increasing rapidly for implanted pacemakers and defibrillators, glucose monitors and insulin pumps, intracranial pressure sensors, epilepsy control, ingestible cameras for imaging the digestive track, and many more applications. Beef liver and pork loin were used to represent the density and moisture content found in human tissue. For implanted medical devices, sensor transmission is characterized by low peak power and low duty cycle to reduce the potential for adverse bio-effects and to extend battery life. Other approaches seek to recharge small batteries in these devices wirelessly by converting energy from a transmitted signal from an external device (as either electromagnetic or ultrasonic wave energy) into electro-chemical storage. Therefore, the use of wave propagation for communication and interaction with implanted medical devices is an integral part of current and future device development. Currently, most implanted medical devices use RF electromagnetic waves to communicate through the body. The Federal Communications Commission (FCC) regulates the bandwidths that can be used for RF electromagnetic wave propagation available to implanted medical devices. For example, the Medical Device Radiocommunication Service (MDRS) designates frequencies of operation ranging from 401-406 MHz. The corresponding maximum bandwidth allowed is 300 kHz, which inherently limits the communication rates of these devices, and is reported in current devices to be limited to a maximum of 50 kb/s. Beyond bandwidth restrictions, the main limitation for using RF electromagnetic waves in the body is loss of signal that occurs because of attenuation in the body. Losses in soft tissues are comparable to losses in salt water, which is a major constituent of soft tissues and is a high loss medium for propagation of RF electromagnetic waves. Soft tissues each have their respective high loss dielectric properties which result in scattering and multipath of signals as well as loss. In order to overcome these losses, higher power must be used and this can result in heating of tissues due to absorption. Adverse bio-effects associated with radiation of electromagnetic waves in the body have not been studied in detail and long term biological effects of heating and non-thermal effects, such as purported increased risk of cancer or other cell damage, warrant additional study the researchers said. The researchers have received a provisional patent application on the high-definition ultrasonic technology. They will be presenting their findings at the 17th IEEE International Workshop on Signal Processing Advances in Wireless Communications, this July in Edinburgh, UK. Contact: Andrew Singer, Department of Electrical and Computer Engineering, 217/244-9263. Michael Oelze, Department of Electrical and Computer Engineering, 217/333-9226.